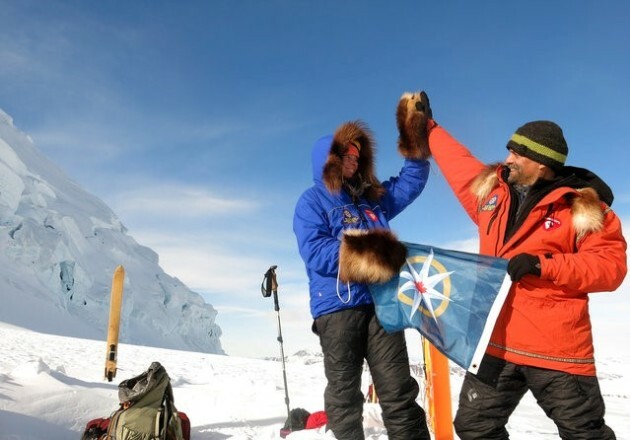 Grand Marais, Minn., adventurer Lonnie Dupre and another climber withstood wind, intense cold and snow earlier this month to reach the summit of one of Canada's tallest mountains, in Yukon Territory. Dupre and Pascale Marceau of Canmore, Alberta, reached the summit of Mount Wood in Kluane National Park and Reserve on the afternoon of March 11. Mount Wood is Canada’s sixth-highest peak (15,912 feet). Their first attempt at the summit March 10 was set back by high winds and driving snow, Dupre said. They are the first team to reach the summit in winter, and Marceau also claims to be the first woman to do so in winter.